Over 110 degrees on the outcrop. Ouch. We are back, finishing our Hell Creek Formation field season and starting our Judith River Formation work in South Dakota and Montana. The fires are pretty bad out there due tot he drought, and silly high temperatures are the norm for now. We located a few specimens including a juvenile ceratopsian in a pretty tough sandstone, and we will be returning in a few weeks to collect the rest. Enjoy the photos! Jacob and I are back from a second trip to the Hell Creek, working on some sites we discovered on the first trip. 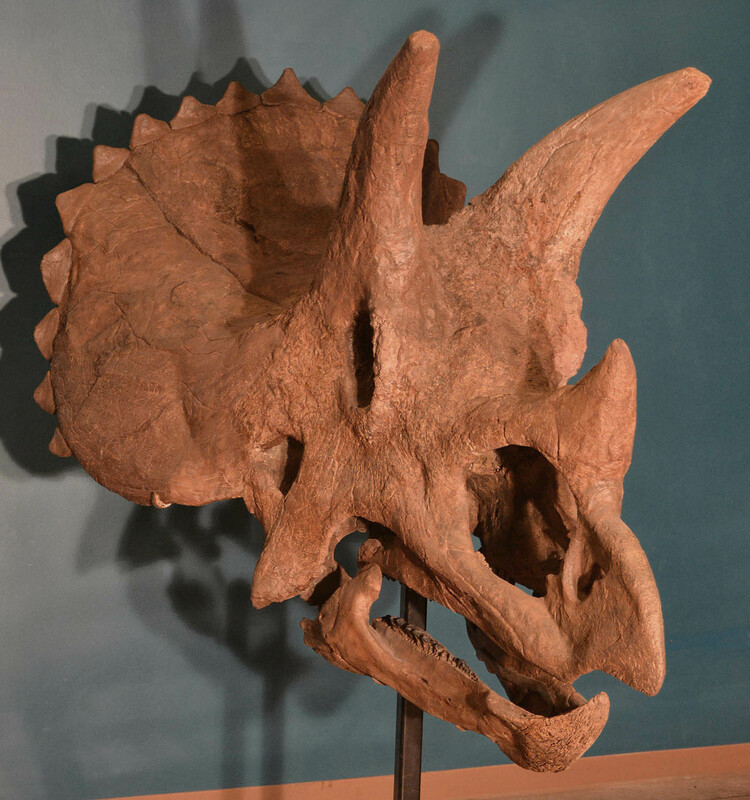 We spent the majority of our efforts on the site that produced the left brow horn form the first trip. Beginning of the dig. Chunky bone fragments circled in orange paint. We expanded the excavation to the north by about 8 feet, tracing a few bone fragments. The overburden was low, and digging relatively easy, but the bone exposed were rounded isolated small chunks. Not especially promising. As we worked back closer to where the brow horn was found, we started encountering more recognizable bones. Unfortunately, the skull was all that was present, and even then it was partial. In the end we recovered a squamosal, predentary, braincase and maxilla, along with some fragile fragments that will be worked on in the lab. End of the dig. The generator and electric jackhammer was a real back-saver! Headed back out in a few weeks, hopefully more luck then!